Production: Plain annealed copper conductor with PVC Instsallation, two core laid flat then covered with PVC shealth. Application: Flexible cords of electrical equipment such as lighting fixtures, household appliances and small office equipment. 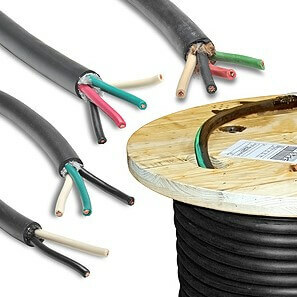 Production: Plain annealed copper conductor with PVC Insulation, two, three or four cores twisted together then covered with PVC Shealth to make cable circular. Application: Flexible cords of electrical equipments such as lighting fixtures, household appliances and small office equipment.